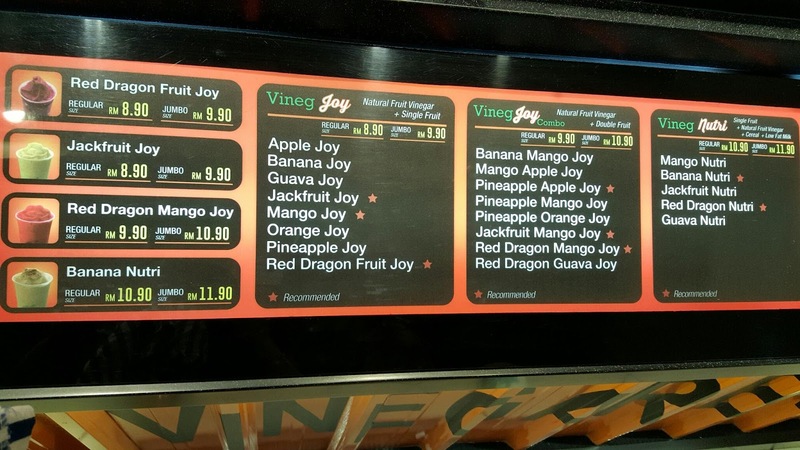 For quite sometimes, BOOST JuiceBar was always my favorite fruit juice option. Unfortunately, Mid Valley branch which always under filing, not even reach the line on the cup! After few times, I decided to clarify this matter with their staff but the answer i got was her black face and not even looking at me and impatiently answered 'It's reached the line" =.= Speechless. 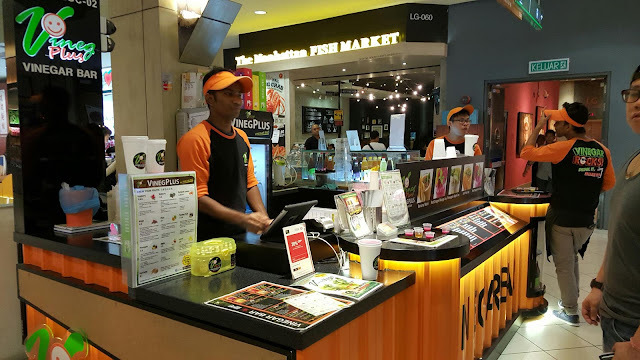 By chance, we passing by Vinegplus, located outside Manhattan Fish Market/ Nando's, the staff walked to us to give us a try and some briefing on their beverages. VinegPlus - The Vinegar Bar is the dawn of a new concept. 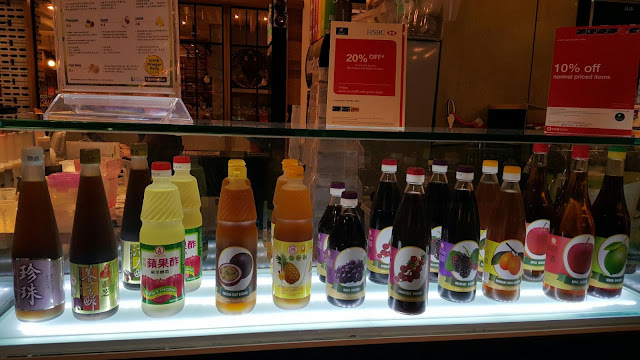 It combines a vinegar and a modern concept, that is presented in a wide range of blended (with fresh fruits) and non-blended vinegar drinks, which is tasty and refreshing, but also reflects the wellness of natural fruit vinegar. 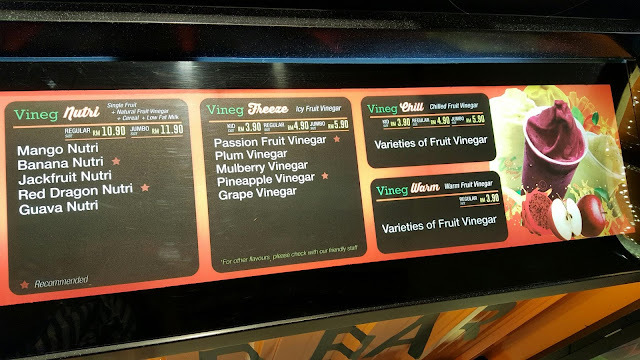 VinegPlus also market and retail a range of bottled vinegar, specifically to those who would like to share the products with their family and friends. Menu. Blended Fruit Vinegar Smoothies & Fruit Vinegar Drinks with No sugar or Fruit Juice added. You can choose choose your preference fruit vinegar with single/double fruit with only RM 1.00 different. 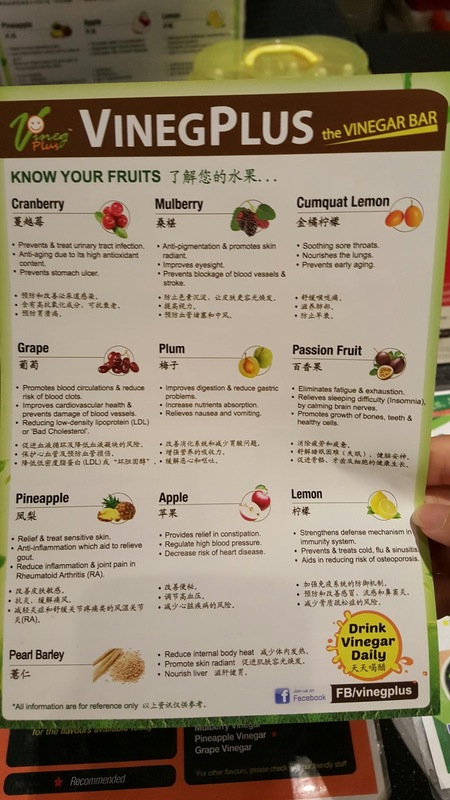 Simple and absolute healthy ingredient. 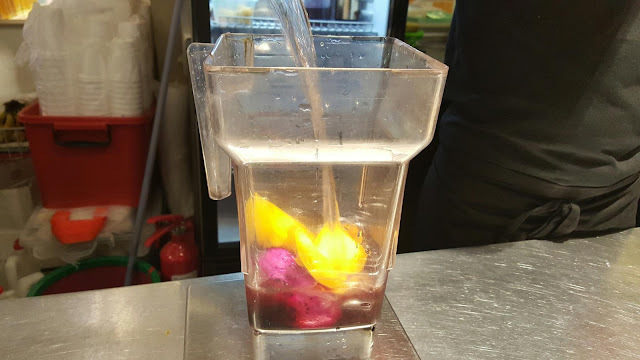 Red dragon fruit, Mango, Vinegar, Water and Ice. 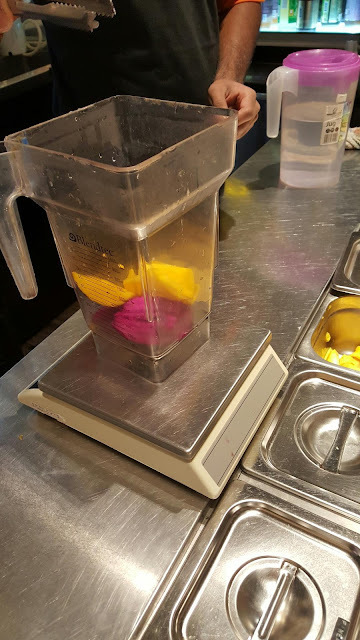 And blend! VinegPlus is aimed at promoting the culture of drinking healthy natural vinegar as a basis to enhance personal health and wellness to members of the public. 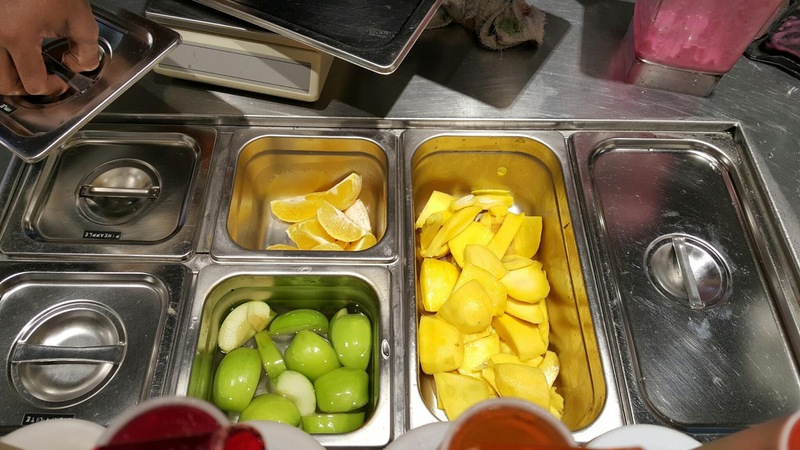 The friendly staff ( standing on cashier)! 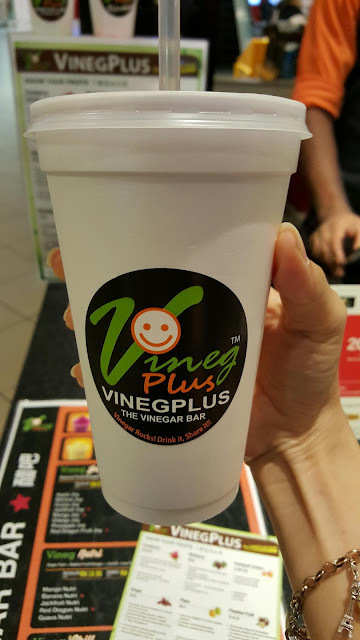 Personally, I will choose VinegPlus from now on whenever i need a drink on Mid Valley. 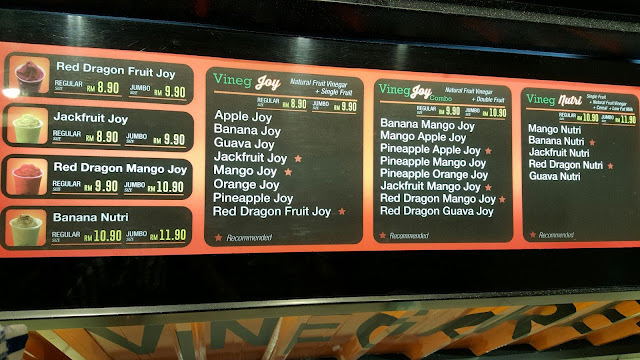 I would say VinegPlus was a much more healthier choice if compare to other juice bar which stated with 'No sugar added and 100% fruit juice'.